Meet the Second Group of CorpsAfrica Volunteers in Senegal! 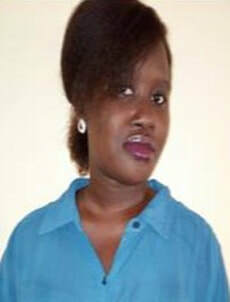 Fatima Deribe is a Senegalo-Nigerian, though born and bred in the United Kingdom. 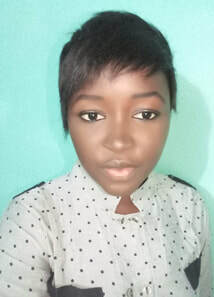 She holds a Bachelors degree in International Relations from LSE. She has a fierce pride and passion for her people and believes that the privileges she has received (such as quality education) brings a responsibility to invest her time and skills to the empowerment of her people so that they may too receive the same opportunities. This commitment is demonstrated by her academic background and work experiences with Internally Displaced People in Nigeria and her regional and national work with UNDP in Dakar. These experiences have provided a broad exposure to the many issues we, as Africans, must address. She believes that as Africans we must learn ourselves, our beauty, our heritage, our languages, our art and we must honor and respect it. Invest in it by heart and by wealth. We must stop exporting our capital, genius, and respect. Only then will we be honored and respected and more importantly empowered as a people. Mamadou Diallo is a native of Saloum. 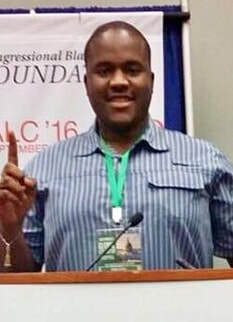 He was a student at the geography section of Gaston Berger University of Saint-Louis (Lu) Since 2013. Consultant to the cabinet (Tropical Service), he is at the same time master in the environment, especially in hydrology in the laboratory of the geography section of the lu. Mamadou Diallo is interested in urban hydrology issues in the new urban centre of Diamniadio. He is passionate about sports, especially Karate, which perfects the human body physically and mentally. Mamadou Diallo has led many citizens' actions in his locality to boost his development. He believes that serving with CorpsAfrica will help to improve his knowledge and skills to help some of Senegal's poorest areas and give him a chance to contribute to the development of his country. Nakhady Djighaly is a young woman engaged to support and protect vulnerable people. She participated during her academic background in the actions of the ONG EVE (Water-Life -Environment) as a volunteer. These activities allowed her to help with the floods in her country by distributing hygiene kits to the victims. These efforts have reduced epidemics caused by the stagnation of wastewater. A member of the OHADA office at Assane Seck University of Ziguinchor, she participated in the organization of meetings to explain the importance of OHADA law in international commerce to business leaders in her region. 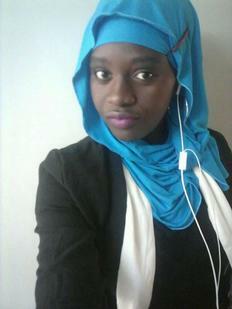 Nakhady holds a Bachelor of Science in Management and International Business Law at the University of Dakar Bourguiba. These experiences in the domain of social assistance, allowed her to help by participating in the development of her community and serving vulnerable people and she would like to evolve in this direction for these future activities. As a specialist in monitoring and evaluation, Penda Fall is a researcher at Diop University of Bambey in health and sustainable development. Her basic training in community health enabled her to work as a researcher and volunteer assistant to several organizations during and after her studies. She is an alumni of Young African Leadership Initiative (YALI). Penda focuses on operational research and project evaluation in different areas and in rural areas in general to contribute to the development and improvement of the living conditions of the population, especially in health. She is passionate about associative life, women's empowerment, children's rights, public health, etc. Born and raised in Ziguinchor, in southern Senegal, Awa Gueye studied at the University of Assane Seck in Ziguinchor where she majored in Geography. A member of YMCA Ziguinchor since 2014 where she was responsible for the YMCA/Universtaire Leadership Commission. She participated in the International Citizen Service of YCARE /International in partnership with YMCA Senegal, where she worked with a team composed of Senegalese and British in identifying community problems and providing solutions. After this program, as an active citizen, it develops in community development and promotes the leadership of children in its neighbourhood by instilling civic values. Daouda GUEYE is from the region of Thies. 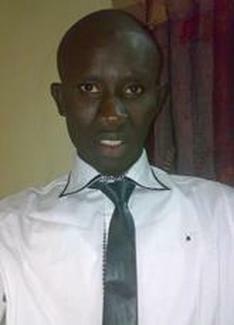 He earned a Bachelors Degree in Computerised Management of Organizations from the University of Thiès and a Professional Masters in Rural and Agricultural Development from the Ecole Nationale des Cadres Ruraux (ENCR). He took profit from the program of improvement and harmonization of Masters and Doctorate programs in agrobusiness through mobility in western, eastern, and central Africa for a sustainable socio-economic development (HAAGRIM). He is also a Young African Leadership Initiative (YALI) Alumni. 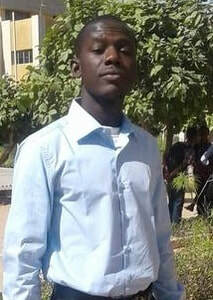 As a leader student, he had been President of Finances and Organization for the Bureau of Students at University of Thiès. Being an actor of development, Daouda has worked with some organizations like the Association of Non-Government Organization of Senegal (FONGS) with many farmer's organizations. he has worked as a Monitoring and Evaluation Assistant for the Cowpea Out Scaling Project in West africa with the International Institut of Tropical Agricultural (IITA) and USAID to spread the culture of « NIEBE » in four (4) West African countries (Nigeria, Mali, Ghana, and Senegal). 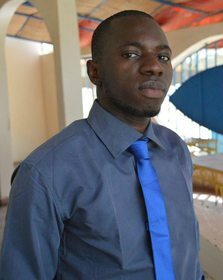 He has been being a trainee for more than one year in the Senegalese Agricultural Researches Institute (ISRA/BAME) in the EXFAM 2 project. His passion has always been to participate in rural development in Senegal and with his professionnal activities, he has traveled around rural zones and has participated actively in solving community issues. My name is Mr. Youssou Gueye from the region of Thiès. I am a graduate of Master II in Economics and Rural Sociology with a specialty in Development of Value Chains and Agricultural and Agri-food Entrepreneurship at the National High School of Agriculture (Ensa). I also have a computer-based management license and Master II in Economics and Management Options Bank Finance and Insurance at the University of Thiès. As an area of expertise, I am a agroéconomiste capable of piloting and monitoring the development of any project, including agricultural and agri-food chains. I also have the ability to model an agricultural policy and a capacity to diagnose the different links in a value chain in order to propose appropriate competitiveness strategies. I control the techniques of agronomy, processing and conservation of fruit and vegetables and the approach to establishing quality policies (quality management, standards and general requirements). Finally, I have a capacity for analysis and understanding of the functioning of organisations and the control of the tools for their basic management and synthesis of economic, statistical, accounting and financial data. Samba Gueye was born in Tivaouane but lives in Yeumbeul Sud (Dakar). He did his whole school cycle in Thiaroye, where he graduated from High School in 2009 and then the faculty of law of the ucad, where he got his license in private law. Actually, He is a master in criminal science. Samba also worked with structures such as the general population census in 2012 and the general census of enterprises in 2016. and with study societies like LA study on the whole area and l'on agricultural processing companies and commercial agent at Senidis Suarl. The law is his passion, which is why he is interested in raising awareness, protecting and defending the rights of the vulnerable (protection of the rights of women, children and others). In addition, he very much cares about entrepreneurship (corporate and corporate law), especially in agriculture and agricultural processing, just to support the development of women and children. He wants to be a CorpsAfrica Volunteer to better participate in the development of community activities and to gain more experience in this area. Fatty Ka was born in the Guinguinéo region. She graduated from Khassim High School in social science and entered Cheikh Anta Diop University in Dakar where she studied law. She recently completed her master's degree in public law, specializing in international relations. This specialization allowed her to be involved with some international organizations and humanitarian NGOs such as ICRC and Amnesty International. She travelled to Ethiopia and The Gambia as part of the seminars organized by the African Union and ECOWAS. She served as a volunteer for Amnesty International in the days reserved for detainees at the maison detention and correction centre. It has been active in socio-cultural associations in recent years. Having been the chair of the Socio-Educational Commission for the coordination of students of Guinguinéo, it provided preparatory courses for pupils in the school exam class. She also attended undergraduate students in the preparation of Half-Yearly Reviews. Today she is the Under-Secretary-General of this structure and is actively engaged in the medical days organized by the health district. As a lawyer, she is committed to promoting human rights, especially for the most vulnerable people of society, namely children and women. She has very ambitious plans for their rights to education, health and good treatment. Abdelkader Kadfi is from Ain Beni Mathar, near Oujda in the east of Morocco. He received his baccalaureate in 2010 from Ibn Khaldoun High School and graduated with a BA degree in English Studies from the University of Mohammed I. He is currently studying Law at the same university. Abdelkader sometimes works as an amateur tourist guide in his region. In 2014 he worked in the Census of Inhabitants and Habitat. He partcipated with many local associations as ROUH CHABAB and Childreen of the World. 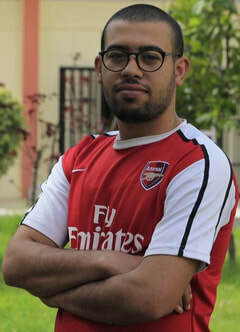 He also works as volunteer with the Unesco Club in Ain Beni Mather in a awareness campaign on the environment. As a Volunteer with CorpsAfrica/Maroc last year, his first project was to access water for the latrine in a primary school in a rural area in the region of El-Jadida. After that he worked with another Volunteer on a commune project, which was to build a library in a primary school and equip it with tables, chairs, computers and books. 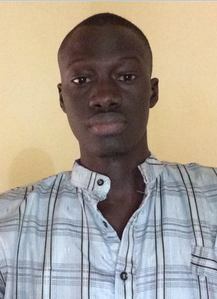 Abdoulaye Bouna NDIAYE (his real name) is a young Senegalese entrepreneur and student in Economics, with a degree in Banking and Insurance from Cheikh Anta Diop University of Dakar. He made his first professional step through an internship at the African Development Bank Group (Regional office of Dakar) as an assistant in disbursement for projects involving energy, agriculture, and public infrastructure. Before his bachelors, he was tried unsuccessfully to find professional experience in some companies. This experience pushed him to want to be independent, so he created his own concept: #1Student#1Entrepreneur, which creates and promotes small businesses in his community in order to create jobs, and reduce poverty. His first achievement was the Restaurant LA PERGOLA in his own home, with 12 employees (7 housewives/5 students). Abdoulaye has been nominated by the US Embassy for the IVLP 2017 in Business-Entrepreneurship, for his efforts and the willingness to do well for his community. He was selected also for the first session of YALI REGIONAL LEADERSHIP CENTER WEST AFRICA (DAKAR). All of these efforts led him to Washington DC for the Global Leadership Program where he represented his country and won the third place in the Entrepreneurship Fair organized by the US Chamber of Commerce as an innovative social project. Abdoulaye is a Tae Kwon Do black belt and MMA (mixed martial art) fighter and he teaches young people self-defense and educates them through martial arts. Mame Birame Diodio Ndiaye (Guelwaar) is one of those who asks themselves what they can do for their country. He was born on July 16, 1987 in Kolda, where he graduated in primary degree school even if he's originated and now living in Fatick. From Kolda he moved to Ziguinchor for junior high school graduation which drove him to Fatick Coumba Ndofféne high school where he got his baccalaureate and moved to Cheikh Anta Diop University in Dakar to study English. He received a Master of Arts certified in postcolonial African studies. 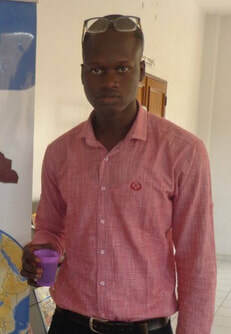 He is now an English translator and active with Youth Volunteers for Environment in Senegal. He is a member of the national executive team and focal point in Fatick. 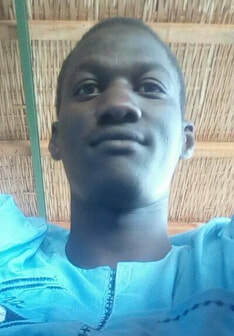 He actively participated as a leader and a volunteer to the elaboration and the adoption of one of the most important environment laws in Senegal by setting a petition and organizing pacific gatherings to struggle against the use of non-biodegradable plastics that dangerously threaten our soil. Today it is prohibited in the entire Senegalese territory. Guelwaar believes in African youth, he believes in Africa, and he believes in CorpsAfrica. His conception of African development is something that comes from the basis to the summit and not the inverse. There is no summit without strong a basement. Originally from the eastern part of Senegal in Tambacounda, ROKHY NDIAYE is passionate about development issues. First, by her training, since she holds a degree in Sociology of Development and a Master in Local Development Engineering at Gaston Berger University of Saint Louis, then, by the orientation of her activities. In reality, this passion is far from theoretical, especially since 2015 Rokhy initiated in the field studies of the most disadvantaged communities in the regions of Saint Louis, Fatick and Tambacounda. She was a Research Assistant for the Agricultural and Rural Prospective Initiative (IPAR) in 2016 as part of the evaluation of the national program of family safety grants in a perspective of strengthening the resilience capacity of rural households. 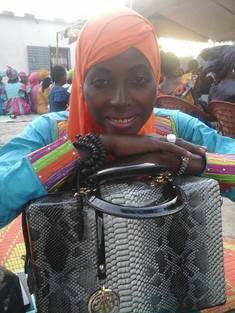 But it is especially with the project "Fight against irregular migration and support for local development in Tambacounda" of the NGO Voluntary International Development (VIS) 2017 that Miss Ndiaye had the chance to help potential irregular migrants to invest and work in their localities. She was responsible for leading activities and awareness raising among these young people and to share with them the opportunities presented by the project and its partners. In addition to these experiences, there are service-level internships such as the Regional Development Agency (ARD) of Tambacounda as well as the preparation of planning documents for certain local authorities in the same region. Mame Binetou Ndour is very committed to the issues of leadership and women's entrepreneurship. She holds a degree in Political Science from Cheikh Anta Diop University in Dakar. 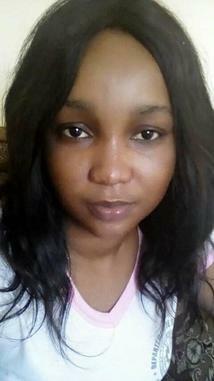 As a young activist, Mame Binetou discovered the civil society community in 2013 following her joining YWA (Youth Women for Action) where she had the opportunity to participate in several awareness and advocacy campaigns on violence against women. In 2014, she joined a student association named ASSESPO (Association of Students in Political Science), which aims to promote, popularize, and show the importance of political studies. She held the position of Secretary General in one of the cells of the UFDC (Union of Women for the Development of Cambere), and works to help women obtain funding from state institutions. Previously, she worked as a sales representative at NDAAM. Her commitment led her to participate in several trainings and seminars on topics such as democracy, female leadership, and geopolitics. Volunteering has always been a way for Mame Binetou to promote her ideas and put them into practice because for her, being a volunteer is a duty for every young person aspiring to development in their country. Assiatu Pongolani is from the Balaka District in Malawi. She has a Diploma in Community Development that she obtained from Skyway University in 2015. During her CorpsAfrica service in Malawi, Assiatu served in two villages; Chiphwembwe in Nsanje District and Kadewere in Mulanje District, both in the Southern region. As difficult as it was to change sites, she did not let this dampen her spirits in the least. She quickly integrated into Kadewere Village and created quite a home for herself there. 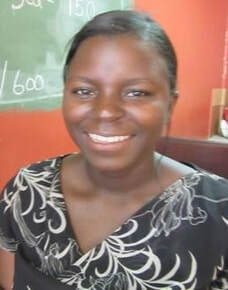 Her main activities included Grass Roots Soccer and teaching at the local orphan centre. As a trained and experienced Grass Roots Soccer Coach, Assiatu graduated 21 students during her service. This means that 21 students attended at least eight out of the eleven topics that ranged from things like life skills, HIV/AIDS, gender roles, and sexual health. Additionally, Assiatu worked with Friends of Mulanje Orphans (FOMO), CorpsAfrica's Development Partner at her site. She went to the orphan care centre every day to help with lessons, games, and feeding the children. She also did substantial work with the Village Development Committee to decide how to design a bridge project to link a large section of the community to where the main resources are, such as the market and FOMO's centre. CorpsAfrica has helped Assiatu gain skills and knowledge and realize how much growth she has benefited from her one year volunteering in a personal and professional way of which she will be able to excise her personalities and professional carrier to any work point. Continuing with her volunteering carrier with CorpsAfrica, Assiatu is now serving in Senegal for another year where she would like to share her skills and knowledge from CorpsAfrica/Malawi to the Senegalese communities and her fellow Volunteers but, at the same time she wants to learn from them and implement the best lessons in Malawi after her service is over because she understands that as Africans we face similar challenges but learning, sharing and implementing the best practices will help to develop the lives and nations that we want to live in for the better. Daouda SAGNA was born in the region of Bignona and lived in Ziguinchor. he has a bachelor's degree since 2010. and worked for the ICRC (International Committee of the Red Cross) in Ziguinchor as a relay. His job was to help the displaced population because of the conflict in Casas to have an income-generating activity by distributing seeds for the crops with regard to the returned population. In addition to that, he tracked the funding granted by the ICRC of unreturned populations. He intervened as a volunteer and helped the Senegalese Red Cross in Ziguinchor in large-scale events. Also he was a Hygienist Animator in relation to the construction of latrines in Ziguinchor, Monitor of educational community since 2014. In 2016, he worked as a volunteer at the YMCA in a program called ICS (International Citizen Service). In this program, he organized chats in neighborhoods and in villages on diseases. Outside the Red Cross, he worked for five years in a processing unit of nuts, cashews and apple juice (SCPL). But also, he kept a foal for six years at home. El Hadji Amadou Lamine SARR is a native of Dakar and a volunteer dedicated to the task. He graduated in 2010, the same year he was selected to do his graduate studies at Gaston-Berger University in Saint-Louis. In July 2017, he graduated from Master II in Local Governance and Sustainable Development. During his career, he had to do two internships, the first at the level of the City of Dakar at the Urban Development Department; and the second at the Commune of Patte D'oie, as municipal agent in charge of technical operations relating to urban planning and construction. He has always been committed and available by carrying out activities through student associations of the UGB more specifically the Amicale des Anciens de plateau (AAP) by occupying several positions over the years until becoming the President. He cumulated at the same time, a job at Restaurant Le Sedor as responsible for communication and management. But also, he performed in the kitchen as "Fast-Foodier" where he had the pleasure to take care of his customers with a quality service. What interests him most is agriculture but he likes to feel the human relationship via communication. Native of Saint-Louis in Senegal, a 300-year-old historic city placed on UNESCO's World Heritage List, Assane SECK is a young, dynamic person dedicated to serving his community. Convinced that active citizen participation is the key to the emergence of the continent, after his Bachelor of Letters, Arts and Communication at the Gaston Berger University of Saint-Louis, he joined the Forum Civil , first as an Animator for the CICA (Center for Integrity and Active Citizenship) and then as Administrative Assistant in different projects. In parallel, he continued his university studies until Master 2 in Letters, Languages and Communication. His main area of expertise is communication for development: advocacy, mobilization, sensitization and social marketing. He is also a founding member and Communication Officer of the AD2K association, which is active in all that is community development at the base. In addition, he also followed a MOOC in Project Management with the Central University of Lille in 2016. And in 2017, in view of his experience and his engagement, he participated in the 5th training session in Public Management at Young African Leadership Initiative. Tante Oureye Sonko, comes from Dakar, Senegal. 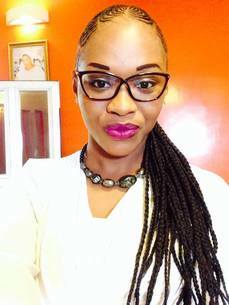 A medical delegate since 2016, she also studied law at the Cheikh Anta Diop University in Dakar. In 2015, her love for the environment pushed her to engage as a volunteer in the organization "Young Volontiers for Environment JVE SENEGAL." At JVE, she worked on various projects like waste management, environmental education, community awareness programs on the protection of the environment, on the design of projects through large and small actions, and capacity building for young people and women. She is also a member of the Senegalese Social Forum where she participated in the development of several capacity building and evaluation programs as well as workshops. She continues to have a passion for advocacy, civic engagement, the eradication of public health issues, community development assistance and environmental protection. Ousmane Tamba is from Kaolack, Senegal. He is a géomatien cartographe who obtained his geomatics license at development schools in Dakar. He also attended Cheikh Anta Diop University of Dakar in the department of geography. He is interested in spatial planning tools and local développemnt because he is aware that these are the development and emergence for our country. Fatou Sy TOURE is a Senegalese, from Saloum. She holds a Master 2 in Rural Development and Cooperation (DRC), a Master's degree in Agricultural Business Management, and a Diploma of General University Studies (DEUG) in Economics and Management - all these diplomas obtained from the Training and Research Unit (UFR) in Economics and Management of the University Gaston Berger (UGB) of Saint-Louis. She is a YALI alumni of the first cohort of the West African Regional Leadership Center located at the Center for Studies in Management Science (CESAG). She has also benefited from the training in political leadership with the Friedrich Ebert Foundation Stiftung (FES). She was a trainee at Alternatiba in 2016 and took part in training sessions with Youth Volunteers for the Environment (JVE). An entrepreneur, she is co-founder of a start-up named "Sunu-School" which means our school. Agriculture is the area of ​​activity that interests her most because it occupies an important place in the development of any nation. This is why she spares no effort to contribute to the development of this sector, which is a lever for development, especially for the rural world. Gorgui Ba Toure is Senegalese from Passy Ngayene, Kaolack. 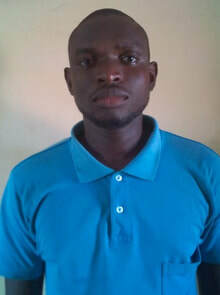 He is active in social change and community development. Gorgui Ba (as his nickname) is part of a generation with an inherent sense of self. One who is inspired not only to talk about what needs to be changed but to get up and change it. Social change and civic engagement are vital necessities for all communities in their development processes. He is the founder of CHANGE, which is a civic association whose goal is to work for a better involvement of young people in the development processes of their communities through innovation, creativity, civic engagement and citizenship. CHANGE wants to inspire and empower young people to change their world. 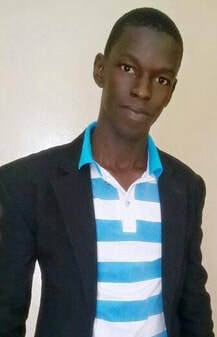 He is the general secretary of the Online Discussion Group (ODG) of Passy Ngayene. ODG is a partner of CHANGE, active in fundraising and partner research for financing local development projects. As a changemaker, he is the community relay of the National Domestic Biogas Program of Senegal (PNB-SN) in Passy Ngayene. This program provides rural households with bio-digesters for recycling organic waste into energy for cooking and lighting and into organic fertilizer for soil fertilization. PNB-SN is funded by the European Union and the State of Senegal and aims to tackle the destruction of the environment and climate change and contributes to improve the framework and living conditions of populations in rural areas. His skills in monitoring and project evaluation have made him a back office manager at West African Oils. At university, he was a member and co-founder of the Great Ideological Revolution for Student Satisfaction. 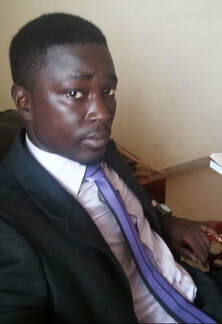 He did his master's thesis internship at the International Cooperation Center for Agronomic Research and Development (CIRAD, Dakar) on the proposal of methods for the management of polyvalent organic wastes in order to optimize their valorization. He holds Masters 2 in Sustainable Management of Horticultural Agroecosystems. He was the coordinator of the citizen movement of Passy Ngayene and for this occasion he had organized awareness programs on education, the early marriage of girls and the promotion of science education.